Fresca is pleased to usher in a new age of customization with the introduction of its Torino line. The frosted glass panels of the doors balance out the sleek and modern lines of Torino, allowing it to fit perfectly in both ‘Town’ and ‘Country’ décor. 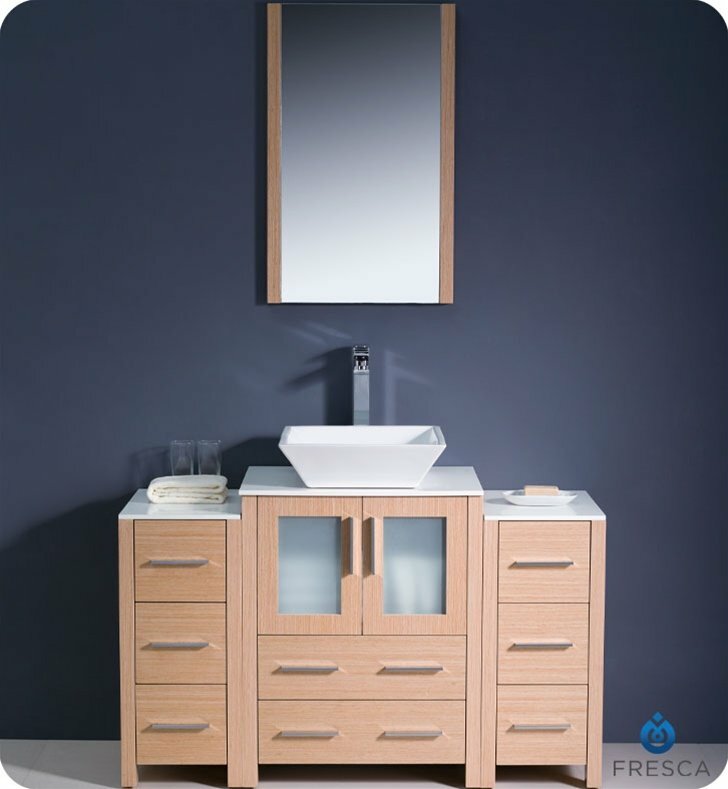 The Fresca Torino bathroom vanity is 48” wide and 33.75” high, and boasts 18.13” deep under-sink storage space – perfect for towels and other bathroom necessities. This bathroom vanity is completed with a 20.75” wide x 31.5” high x 1.25” deep wall mounted mirror for optimal function and style. 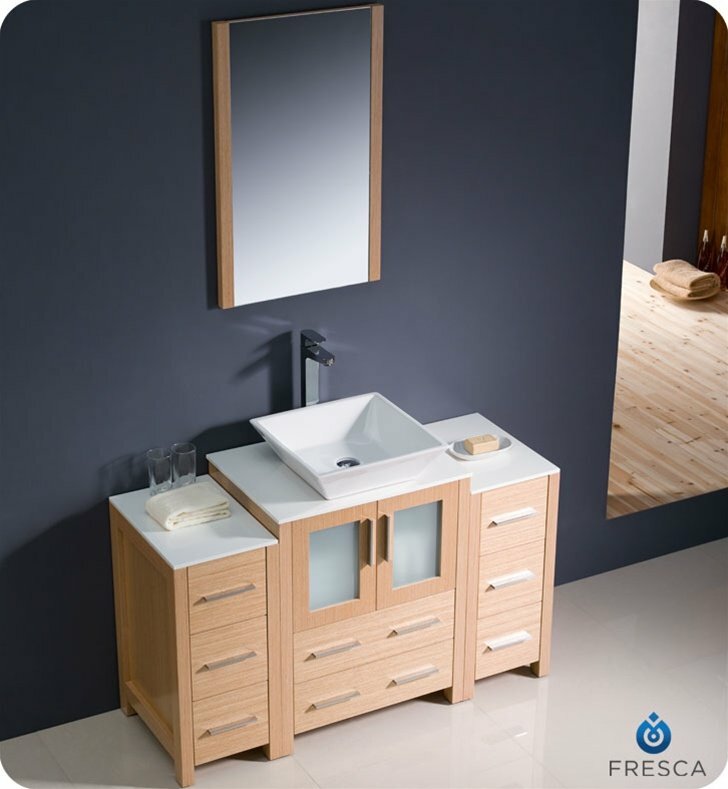 Items included: Main Vanity Cabinet(s), Countertop(s), Vessel/Integrated Sink(s), Mirror(s), Faucet(s), P-Trap and Pop-Up Drain(s), Standard hardware needed for installation. 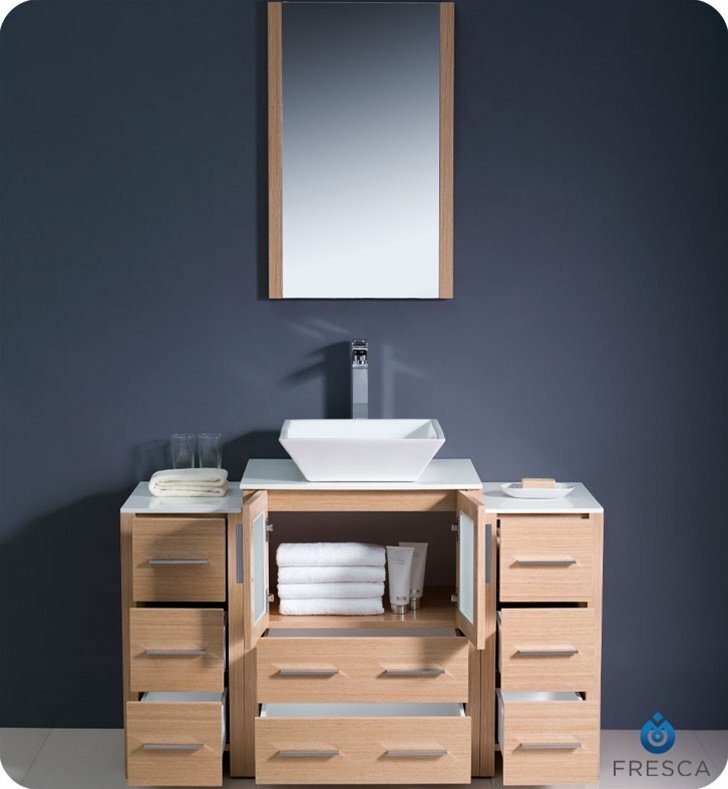 Fresca is a leading manufacturer of high-quality vanities, accessories, toilets, faucets, and everything else to give you the freshest bathroom in the neighborhood. 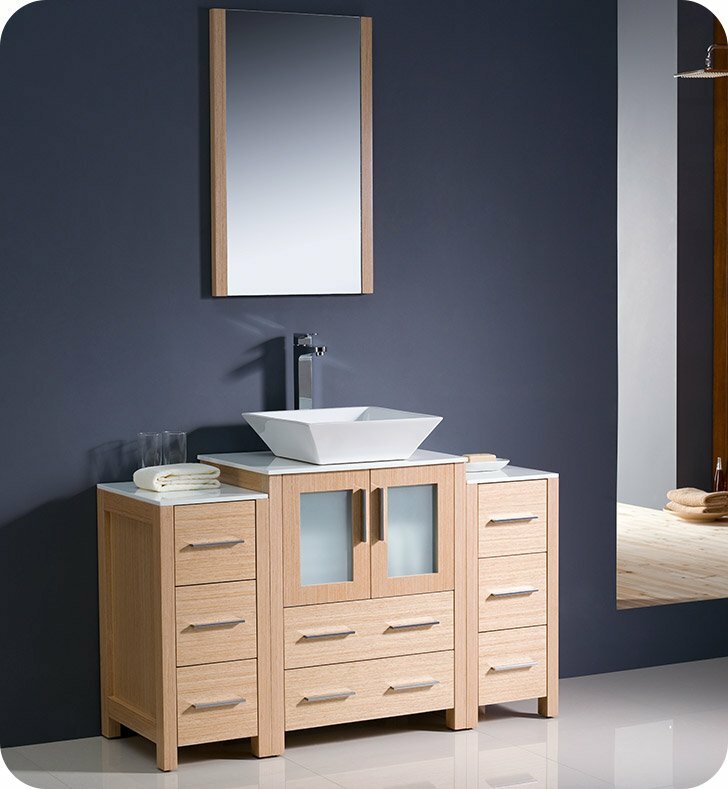 Fresca is known for carrying the latest and most popular styles in modern and contemporary bathroom design that are made with high quality materials and superior workmanship.